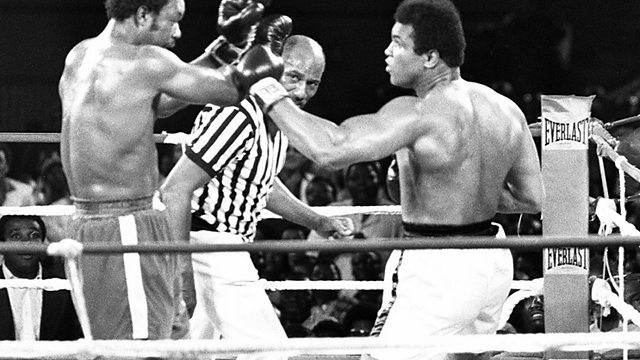 In October 1974 one of the greatest boxing matches of all time took place in Zaire. Muhammad Ali and George Foreman were fighting for the World Heavyweight title. Muhammad Ali and George Foreman fought for the World Heavyweight title. The President of Zaire, Mobutu Sese Seko had paid them millions of dollars to travel to Africa. Hear from Jerry Eisenberg who covered the game as a reporter for The New Jersey Star Ledger. Interviews, clips and documentaries gathered by BBC Radio in honour of the boxing legend.